Editor’s Note: Kouzzina’s Chef’s Table has been discontinued. We mentioned back in December that Kouzzina was going to be announcing a Chef’s Table soon, but now we actually have some details thanks to reader Chris H! We’ve also got some updates about the Flying Fish Chef’s Counter next door to Kouzzina (thanks to the same!). Guests of the Chef’s Table will be presented with some of Cat Cora’s personal favorites during this five-course experience in the intimate CoraNation Room. Explore the flavors of the Mediterranean as the Chef (the day to day Chef; not Cora herself) interacts during the presentation of each course. While candles flicker, your dinner will include fresh seafood and oak-grilled specialties. Check out a photo of the appetizer course here. The Kouzzina Chef’s Table experience costs $69.23 per person and can accommodate up to 24 people (age 10 and older). Complement your special meal with wine pairings for an additional $35-plus per person. Payment is due when reserving. A dress code applies: Men – Khakis, slacks, jeans, dress shorts, collared shirts. Sport coats are optional. Ladies – Capris, skirts, dresses, jeans, dress shorts. 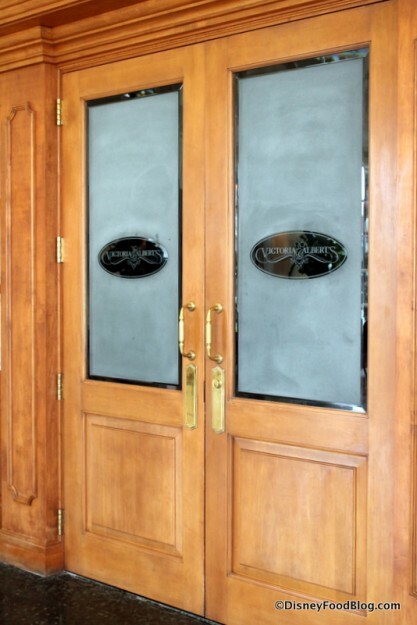 Reservations which are highly recommended can be made at 407-939-3463 up to 180 days in advance of your meal. Please note any special diet needs when booking. A 48 hour cancellation policy is in effect. Friday and Saturday 6:30 p.m. 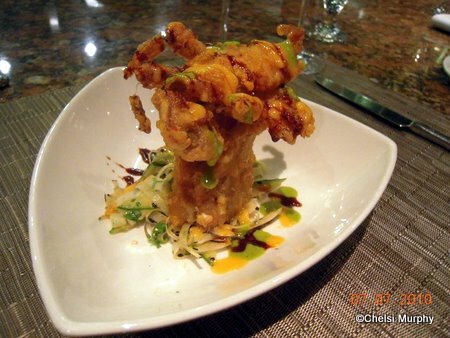 The Flying Fish Cafe’s Chef’s Counter offers a memorable meal for guests 21 and over! Our first visit to Victoria & Albert’s was during our September 2009 honeymoon. My husband Barry and I are self-proclaimed foodies and this meal was going to be the icing on the cake of our week-long Deluxe Dining Plan extravaganza. It did not disappoint. We were blown away by every aspect of our 2 ½ hour meal. 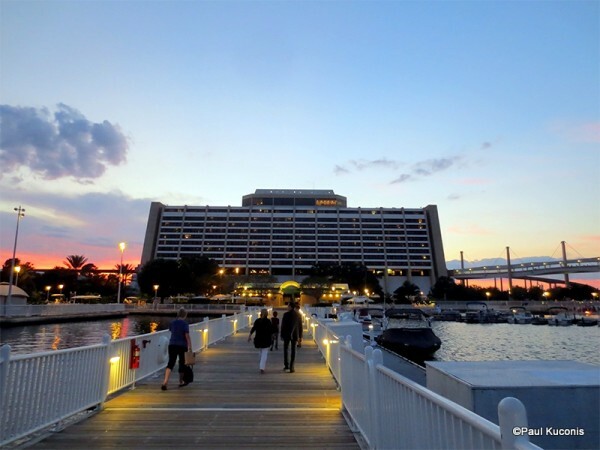 So when planning our next trip to Walt Disney World for our 1 year anniversary, we asked ourselves how we were going to top our last dining experience? The Chef’s Table of course! My Dad and Step-mom, who share in our passion for food, joined us on this trip, and I was fortunate enough to secure a reservation for the last day of our trip. We arrived just before 5 pm on the day and waited in the atrium outside of the restaurant to be escorted to our table. We were dressed to the nines and ready for our 4 hour meal! 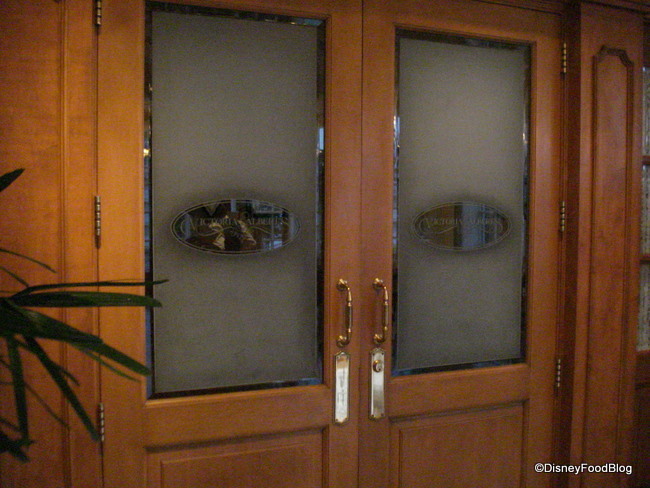 The hostess came out to greet us and led us into the very quiet and formal dining room. We then entered a completely different environment…the kitchen. It was loud and full of excitement. There is so much energy in a professional kitchen. We were shown to our table, which was right there in the center of it all! Chef's Table with a kitchen view! Disney Food for Families columnist Erin Foster captures some great ways to encourage your kids’ love of cooking! 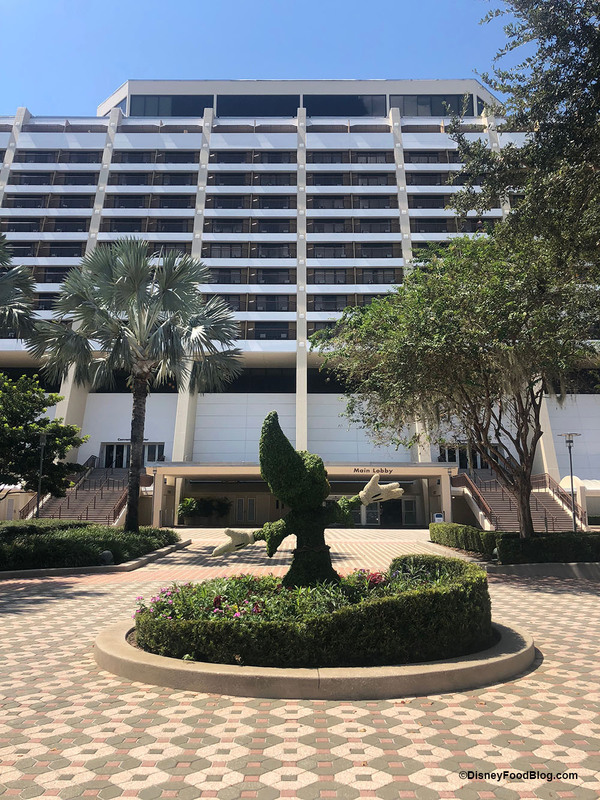 Obviously one of the many reasons that families find Disney destinations to be such compelling vacation spots is that the parks and resorts are fully prepared to accommodate the interests of children. At various points, all of my girls have been captivated with the idea of becoming a chef (well, at least until they began to realize that kitchens have to be cleaned after they are used). Disney does a wonderful job of indulging the interests of the budding chef by allowing children, and their parents, plentiful opportunities to observe and interact with the real-life culinary craftspeople that make the food magic happen. 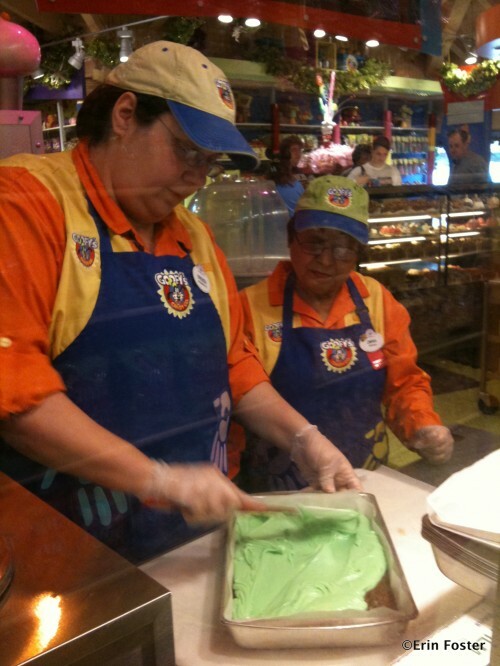 Our favorite Walt Disney World venue for chef interaction is at Goofy’s Candy Company at Downtown Disney. On one recent trip, my girls and I spent over an hour standing at the candy prep counter there watching a cast member make pan after pan of swoon-inducing fudge. 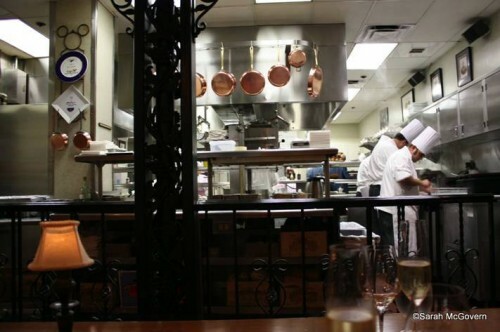 Editor’s Note: Kouzzina is no longer offering a Chef’s Table option. This just in from WDW News! 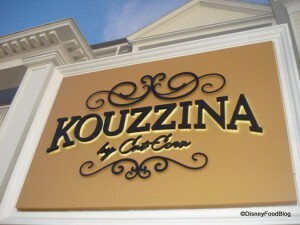 As you know, Kouzzina by Cat Cora on Disney World’s Boardwalk has been closed for a few weeks for refurbishment. Everyone wondered why a restaurant that’s only been open for a year needed refurb, but, here’s a bit of a peek into the mystery! And… a CHEF’S TABLE! The “Coranation Room” has been added at the back of the room with more upscale decor. A Chef’s Table experience will be offered on weekends (upcoming). You can read our review of Kouzzina here! 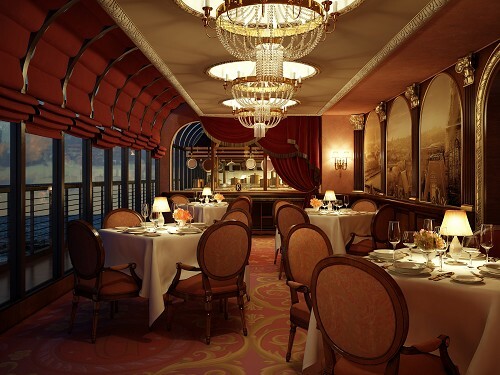 Incredible news has been announced about Remy, a brand new class of Disney Cruise Line restaurant debuting on the line’s newest ship, the Disney Dream. 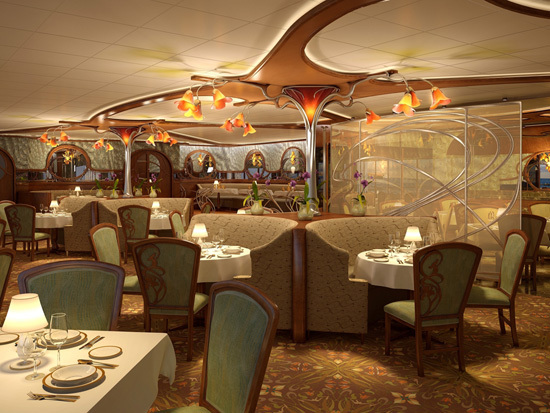 Located on Deck 12 next to Palo, Remy will seat 80 in an Art Nouveau-style room decorated with greens, reds, and golds — think upscale “French Bistro” design. Of course, Ratatouille’s Remy the Rat will be integrated into the design! A chilled champagne cocktail made tableside will be the beginning of your dining experience at Remy. This will be followed by up to nine small courses with wine accompaniments. Polished touches at Remy include a tableside trolley for serving international cheeses, decanting stations for wines, and post-prandial coffee service including French press and grand crème.